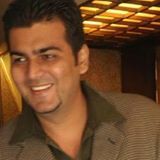 Dow Jones – Breaks below Momentum Trendine. RSI indicates relief rally in coming week. 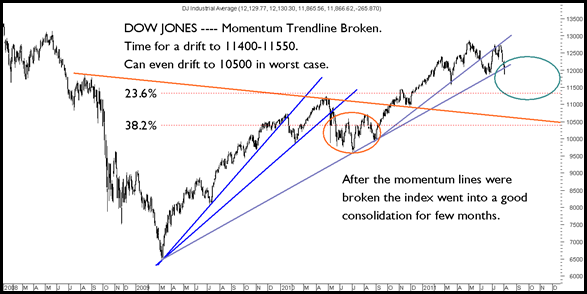 -> Dow Jones has done a momentum line breakdown as seen many months back. This indicates it could drift lower to 11400-11550 which is previous bottom and 23.6% retracement. -> In the worst case index can even retrace to 10500 but we may keep this option aside for some time coz of RSI seen below. 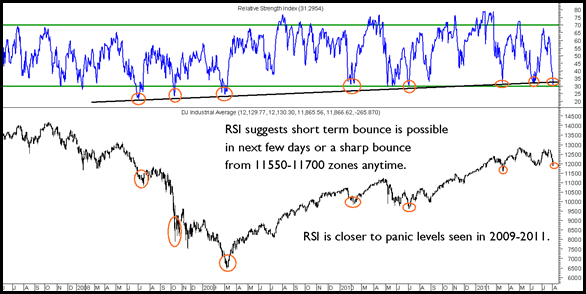 -> RSI is back to the lows of 30 where it has generally bottomed in 2009-2011. -> Only time the index has gone below 30 was in 2008 when there were plenty of out of the blue announcements and trigger. In the worst case of some announcement it can go to 10500 levels. -> RSI suggests there could be a relief rally in next few days if such a pullback is not seen then there could be a little spike below 11400 and a very sharp reversal possibly.